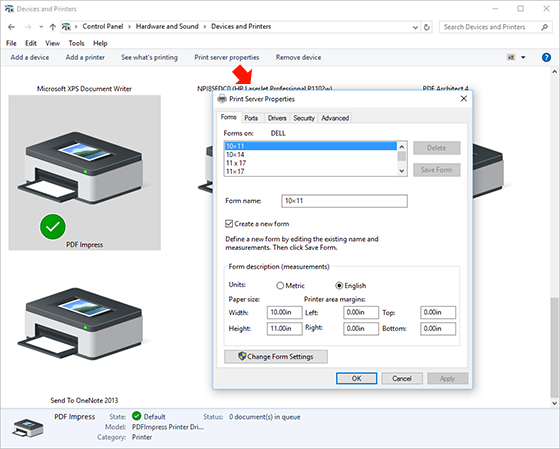 PDF Impress supports custom paper sizes up to 129 inches, but some paper sizes may need to be added manually in order to appear in the paper size list in PDF Impress. Microsoft’s latest operating system, Windows 10, requires a following steps to create custom paper sizes . Read more to find out how.